World Boxing Organisation middleweight champion Billy Joe Saunders (23-0, 12 KO's) has called out WBA, WBC, IBF and IBO kingpin Gennady Golovkin (36-0, 33 KO's) for a blockbuster unification showdown. 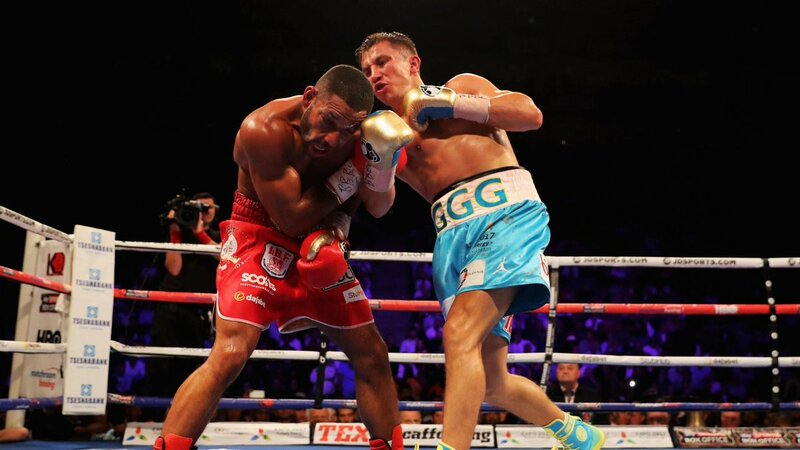 Golovkin, 34, retained his titles with a fifth-round stoppage over IBF welterweight champion Kell Brook on September 10th in London, UK. The Kazakh bludgeoned the previously unbeaten Brook into a corner submission following the toughest fight of his career, where, it seemed, he was buzzed by a pinpoint combination in the second round. Golovkin rallied hard and even broke his opponent's eye socket before imposing his natural size advantage over Brook in the fifth round to cause trainer Dominic Ingle to throw in the towel, however WBO titleholder Saunders believes he can expose flaws he saw in Golovkin arsenal. Saunders to Golovkin: "I saw faults and flaws in you (against Brook) that I know I can pick out, so let's see who the best is for all of the belts. He also added: let's get one thing right, Kell Brook is a welterweight not a middleweight. I am a full-fledged middleweight. "I have been onto my management. We will definitely get it on. I want you (Golovkin) on you next available date." Saunders stated he is next fighting on the undercard of Fury-Klitschko 2 on October 29th and, if Golovkin views that as a viable date, he may take him up on his offer, however it is most likely too soon following a long training camp throughout July and August leading up to his fight with Kell Brook in September. Danny Jacobs, Saul Alvarez and most recently Chris Eubank Jr, where negotiations were 90% complete but extortionate demands of Eubank's team scuppered the fight, have all expressed interest in tackling the knockout artist Golovkin but neither came to fruition. Golovkin has repeatedly stated he wants to unify the 160 division and hold all the belts, and Saunders the WBO champion is his final checkpoint to fulfilling his desire. Billy Joe Saunders is intent on exposing flaws he sees in Gennady Golovkin, but will this proposed showdown actually go ahead?